Our family foundation, The ABE Charitable Foundation, Inc., has been involved as a sponsor of Director Build homes for the past two years. This year we are matching any gift made by a friend or family member up to a total of $10,000! 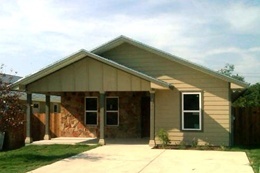 Help us make the 300th home for Austin Habitat a reality for a deserving family! "I am honored to donate to this great cause through such an amazing foundation as ABE. I can't wait for the build."